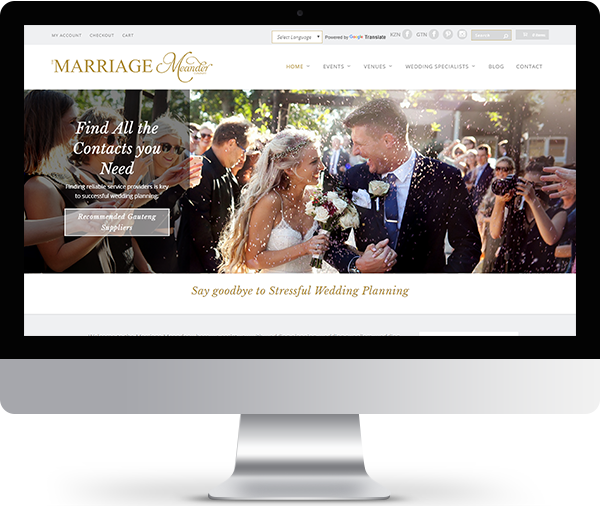 The Marriage Meander website is an online resource for couples who are planning their wedding. It has an accompanying annual printed magazine and in-person journeys that are held each year. We were asked to re-design the website to make it responsive, more user-friendly and easier to update. We combined all the requirements in an easy to update layout that made the beautiful supplier images the real star of the show. Nikki has been a star client, keeping her content updated and continually letting us know how much she loves how easy her new website is to update.